I absolutely LOVE the grocery store. I’ve said that over and over again and it never changes! For so many, it feels like a chore. I take it as a blessing to be able to go out and buy GREAT food to fuel my body and my life, so many people don’t have that opportunity so I take it as an experience every time I go! My Trader Joe’s Haul! $63 bucks later! 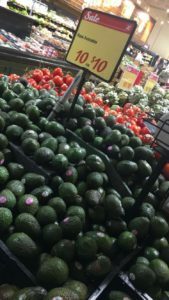 A few posts back, I discussed planning for Grocery Store Success. I won’t EVER go to the grocery store without a list! That is truly a recipe for disaster! 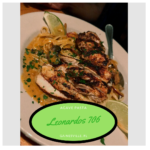 You go in, start to wander (with your eyes and stomach) and $150 later, your cart is full without a recipe, meal plan or deeper thought in mind! No No No No No! Just like everything else in life, if you fail to plan, you plan to fail! I like to keep my bi-weekly grocery budget under $115 at the most and I’m feeding only one person. Your budget and your lifestyle truly make the difference in what you buy, where you buy it and how much you spend. I’m a slim chick with a big appetite but I like to nibble. It’s not odd for me to have more than 4 meals in a day throughout the work week and never realize it because I don’t have the capacity to always sit and have a huge meal, sometimes it’s just some snacks here and there. Knowing that I am the Queen of playing tired after work nowadays, I’ve opted to buy more pre-made, (YET still healthy) options like Trader Joe’s Grilled Chicken Breasts or Lucky’s fruit bowls which come already sliced and less than $5. I start my days around 7AM and go until about 9:30PM at night, so I like my meals to provide me with energy, a full belly and no regrets if I can avoid them. I am INSANE about my grocery lists! I used to buy ingredients and have them sitting in my fridge for weeks with no hope of ever seeing the stove and it was the worse! All of that money gone down the drain! Think about it. How much money in wasted food do you currently have in your kitchen? Not only do I make a list, I will even pull out an excel sheet, organize by aisle, price AND store and pop a formula in that bad boy. (Who said Millennials don’t know how to use Excel!?!) Every other Sunday, I pack myself up in preparation for a fun few hours (I like to put on my headphones and take my time!) 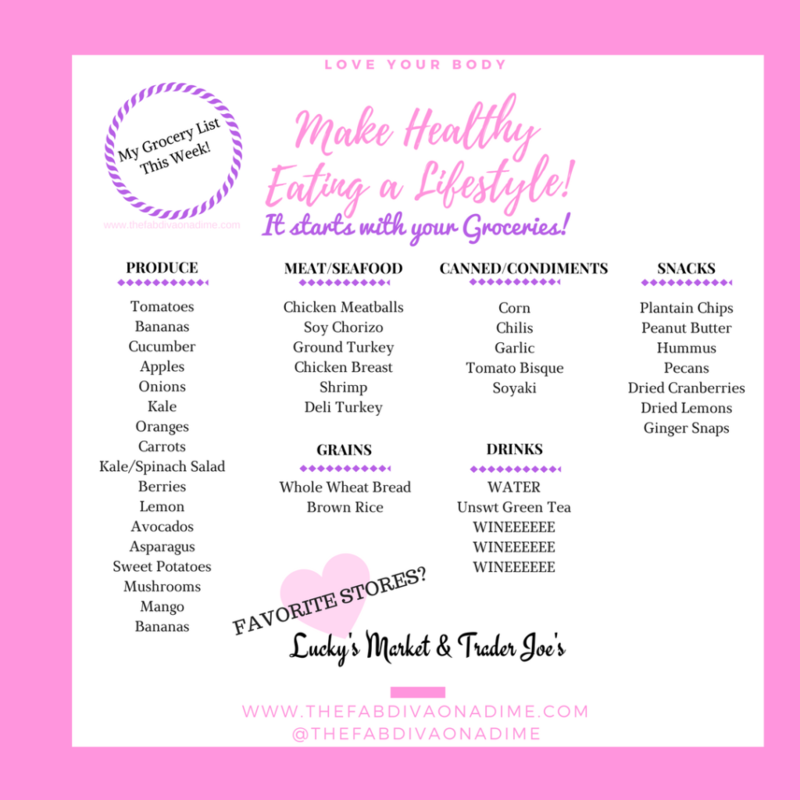 I grab one of my Grocery/Meal Plan Printables that I have all filled out and make a move! 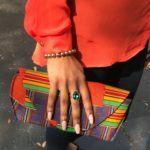 I frequent the same stores because: 1) I know their regular prices well 2) I am familiar with the layout/aisles 3) I know the quality of products they sell. 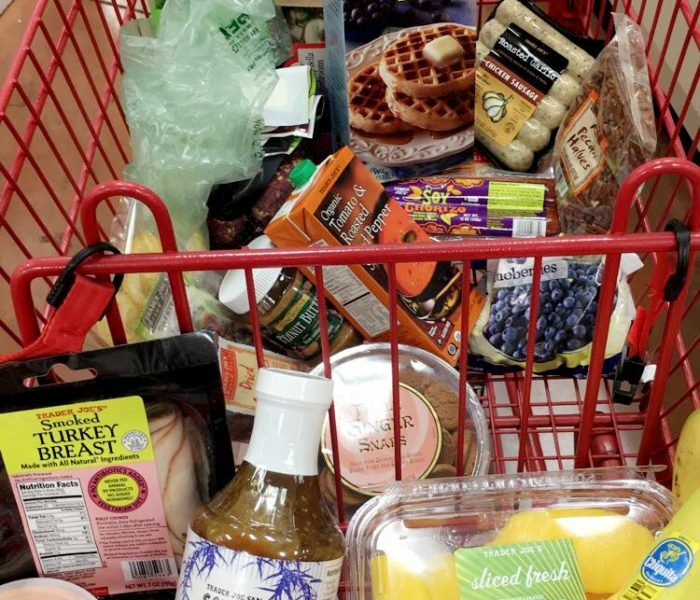 I never have to worry about the quality of items I buy at Trader Joe’s and Lucky’s because these stores both pride themselves on either Local, Organic, Gluten-Free, Vegan, Vegetarian, Grass/Vegetarian-Fed products and that’s what I’m looking for! It’s so easy to run into Publix, grab some Cheetos, a Pizza and a salad drenched in Ranch but there’s so much more to it than that everyone! I don’t deprive myself, I indulge in meals out, I love a great burger, but I try to eat responsibly 85% of the time but a healthy body starts at the grocery store! 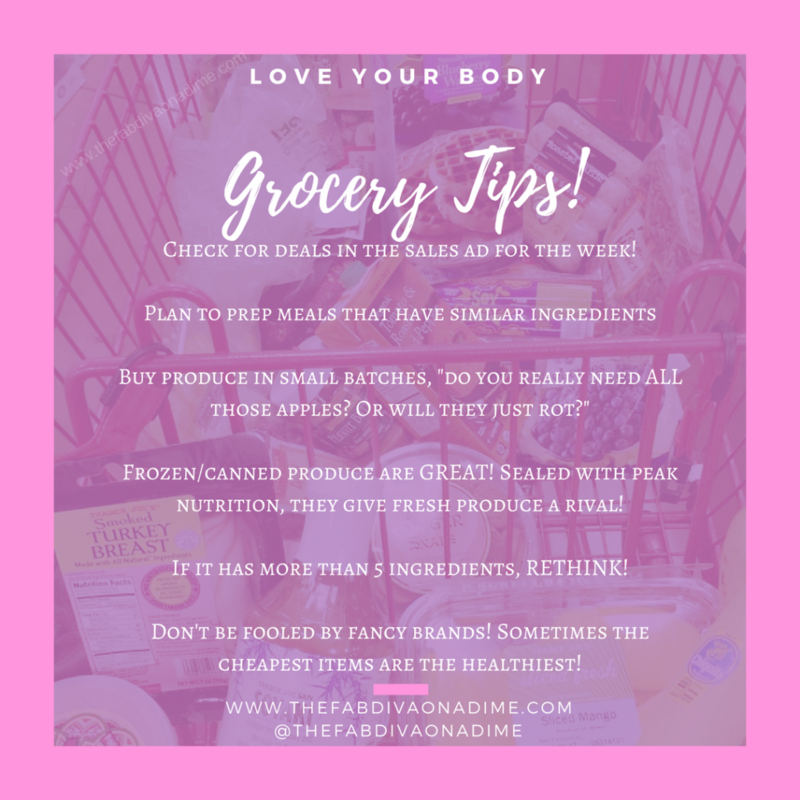 Here are a few of my Grocery Store Tips! What’s your favorite Grocery Store Trip? Do you make a list before you go? 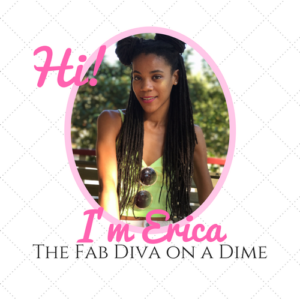 Do you have a grocery budget? 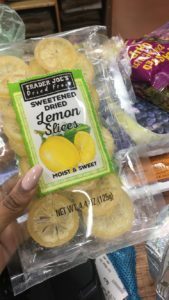 I was so Intrigue by those pre-sliced lemons, what did you do with them? 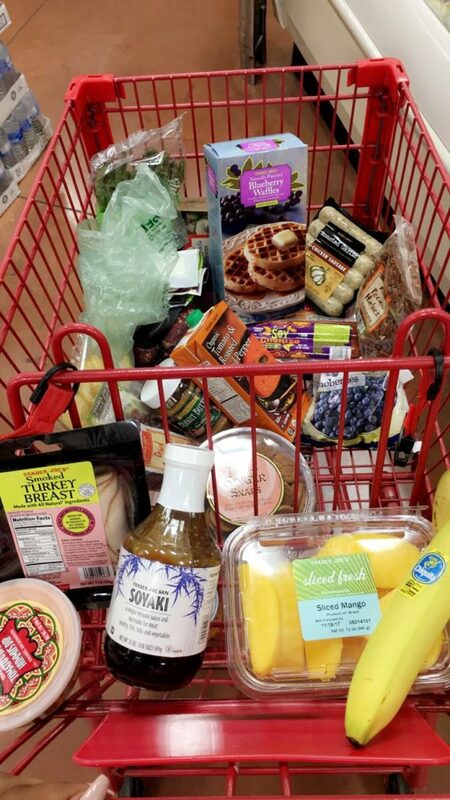 Great post, I need to take you grocery shopping with me one day!